We had Chinese last night from a small local fast pick-up place near our house. You get a ton of food for what you pay and it’s good too. I have always been intrigued by the tacky decor like this horse picture. 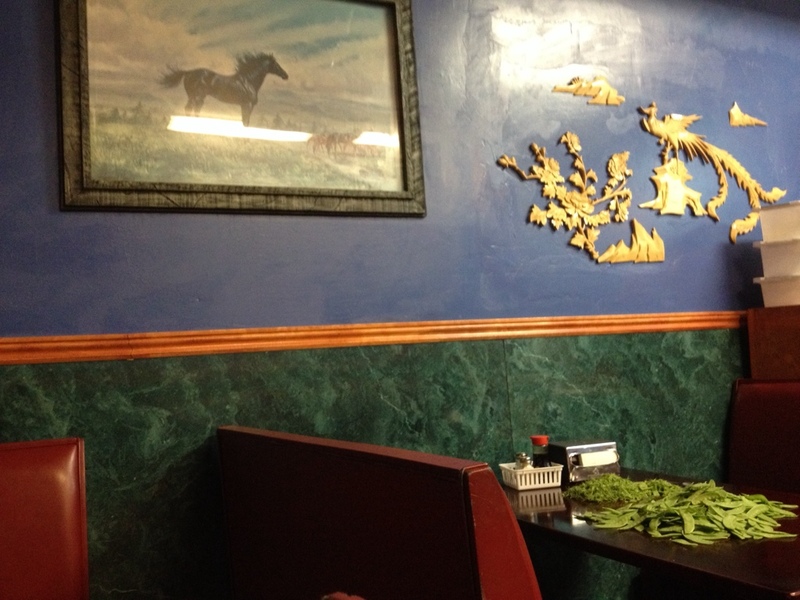 Why do Chinese places also always have a pile of snap peas on a table out front?